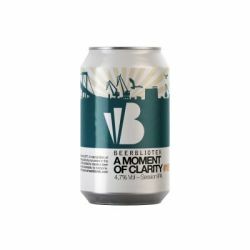 We first brewed this beer in 2017, as the official GBG Beer Week 2017 beer, in recognition of the great work being done by our peers in the Gothenburg beer scene. We wanted to create a beer that was sessionable and accessible, to everyone. UPDATED: MAR 27, 2019 Fantastisk öl att avnjuta vid kolgrillen året runt. Fungerar även mycket bra till grillad mat. UPDATED: MAR 21, 2019 Can courtesy of Nisse666, shared with the Raven crew! Murky yellow body, white head. Tropical hoppy and somewhat grainy aroma. Nice citric and somewhat tropical hoppy notes in the taste, and a bitterish finish, but grainy notes, being slightly too much in front at times, just push it out of the top class for me. UPDATED: FEB 17, 2019 Can. 4.7%. Best before 26.06.19. Pours a bit hazy straw yellow, with a frothy, off-white/yellowish head. Good lacing. Sweetish aroma, fresh, slightly tart, with citrus; orange, light lemon, on a tropical fruit background. A bit juicy. Flavour is the same. Mildly bitter finish, a bit dry. Lingering light apple/grassy note. Slightly watery mouthfeel. Overall pretty good; well-made and -balanced. 17.02.19. UPDATED: MAR 9, 2019 Burk 330 ml från Systembolaget. Ljust gul och disig, fint skum som sedan lägger sig som en hinna på insidan av glaset. Doft av frukt med inslag av humle och gräs. Tropisk frukt i smaken, mycket humle, tallbarr och fin torr beska. En mycket bra Session IPA. UPDATED: DEC 9, 2018 30 November 2018. Billie's Craft Beer Fest. Cheers to Anke, tderoeck & 77ships! Clear yellow with a lasting, small, frothy, white head; lots of lacing. Fresh aroma of lemon, papaya, peach, dough, faint note of sulphur, carambola. Light to medium fruity sweet onset, quite tropical with papaya & carambola, supported by a bready & doughy malt base; subtle accent of lemon announces a light hoppy bitterness that balances orange & grapefruit with a vague retronasal hint of sulphur. Dryish, floral hoppy finish, lingering lemon & orange rinds. Light to medium body, slick texture, soft carbonation. Perhaps it carried a minor infection but it was decent all the way. UPDATED: DEC 3, 2018 Sampled @ Billies 2018. Lightly unclear yellow color, average sized white head. Smell and taste lightly malts, nicely citrussy hoppy, hops, light hop bitter. Decent body and carbonation. Pleasant. 7-3-7-4-15. Puszka. Średni cytrusowy aromat chmielowy idący w stronę szczypiorku, W smaku pół słodkie, owocowe z niskimi nutami białego pieczywa. Goryczka krótka, mocna. Dość pełne, kremowe.